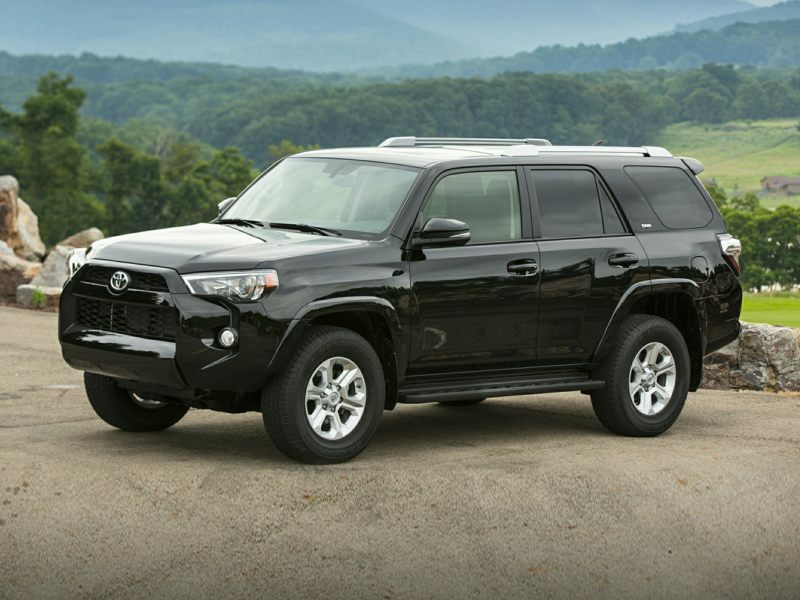 The 2019 Toyota 4Runner is a 4-door, 5-seat Sport Utility, available in 11 trims, ranging from the SR5 4x2 to the TRD Pro 4x4. Upon introduction, the $35,110 SR5 4x2 is equipped with a standard 4.0L, 6-cylinder, engine that achieves 17-mpg in the city and 21-mpg on the highway. an Automatic transmission is standard. The $46,615 TRD Pro 4x4 is equipped with a standard 4.0L, 6-cylinder, engine that achieves 17-mpg in the city and 20-mpg on the highway. an Automatic transmission is standard. In 1950, following World War II, Toyota almost went out of business, which certainly would have brought into question the decision more than a decade earlier to change the company’s name from the founding family’s Toyoda surname in order to have a “lucky” eight-stroke character name. But then the U.S. military ordered a bunch of trucks to help fight the Korean War, and now Toyota dominates sales charts all around the planet. Take a look at the Autobytel archive of Toyota pictures, and you’ll find galleries of numerous greatest hits dating back to 1999, including the Camry, Corolla, Highlander, Prius, RAV4, and Tacoma. Our collection of Toyota photos also shows a couple of precursors to the creation of the Scion brand, the ECHO and the Celica, the latter effectively replaced by the Scion tC. The automaker’s leadership in green machines is also evident in our galleries of Toyota images, which include several hybrid models, the Prius Plug-in, and the RAV4 EV. In recent years, Toyota has, like many car companies, struggled with economic downturns in major global markets. In the U.S., the company’s cars, SUVs, and trucks have also been accused of accelerating by themselves, prompting Toyota to install Smart Stop technology into each of its vehicles, which makes it impossible for one to accelerate as long as the driver is pressing on the brake pedal. Now, the future is looking bright. Sales are rising, core models are competitive, and Toyota is trying to add personality to its products through design without impacting the quality, durability, and reliability that has built the company into one of the most successful automakers in the world.